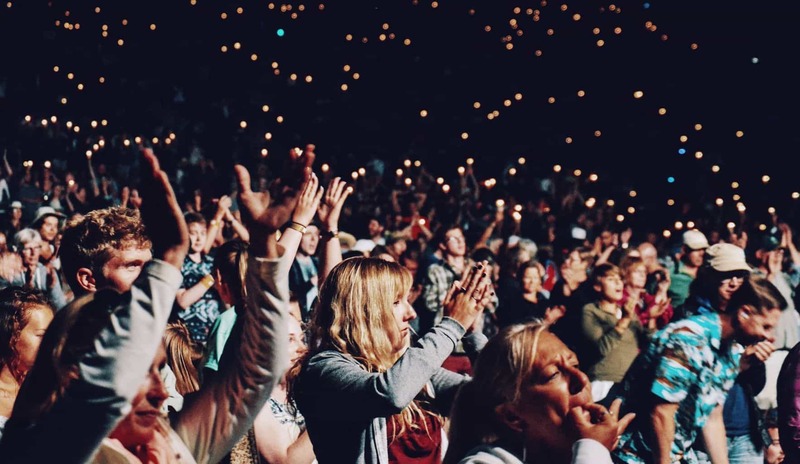 Connecting with your nonprofit’s audience is like being a good friend. Using video is a powerful tool, especially for nonprofits. We’ll introduce you to the YouTube nonprofit program and provide easy to implement ideas to incorporate video in your outreach program. You’ve got to devote time to friends to maintain a close relationship, and as a nonprofit you’ve got to devote time to your audience. With limited time and resources, content curation is an essential marketing tool for keeping the connection with your nonprofit audience fresh and current. But every organization curates content differently. Many share content only on social media while others use content curation in all facets of their Youtube nonprofit marketing plan. As a non-profit, your definition of success might be different than say, Justin Bieber’s, but you can use video in a similar manner to engage and educate people across the world. →For many causes, videos may not be part of your current marketing plan, but they are quickly becoming an ideal format for your storytelling. Embrace the medium and start communicating! With over 800 million people worldwide on YouTube, it’s a global living room like no other. YouTube is also the world’s 2nd largest search engine (after Google) – people are looking for you and your cause every day. What will you show them? →Do not worry about being “viral,” just focus on creating great content and interacting with the community. →Do not just “make videos.” Have a video strategy. Interacting with your viewers and having a clear call to action are as important as capturing good footage. Try to address these questions before you pick up the camera. 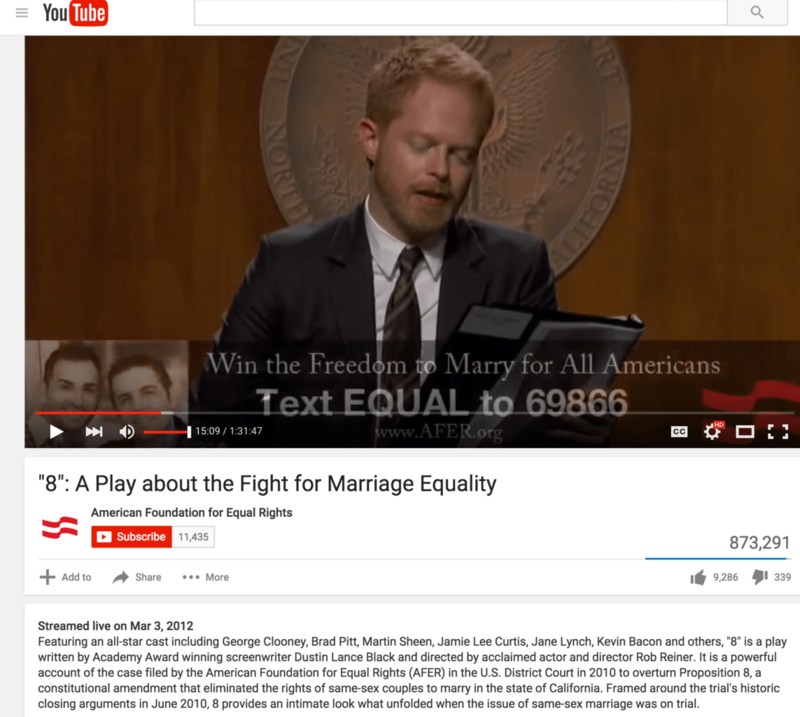 The American Foundation for Equal Rights used the YouTube nonprofit channel to live-stream “8″, a play about the Prop 8 trial in California on marriage equality. The initiative raised more than $2 million dollars and drove a news cycle of approximately 300 articles. The donate button remains there today, subtly encouraging viewers to lend their financial support after watching one of the dozens of videos available. 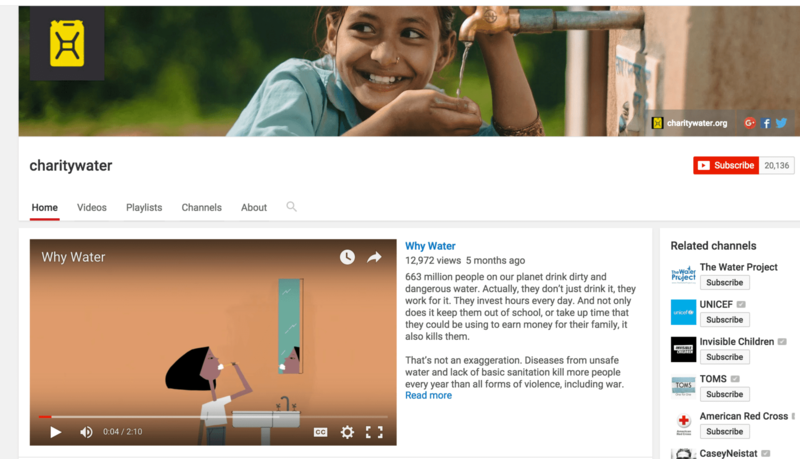 charity: water posted over 240 personalized thank-you videos for their donors and campaigners, effectively making the audience the stars of the videos and creating a life cycle of donors that were publicly acknowledged and highlighted. Taking time to celebrate milestones and recognize supporters should be an essential element of a nonprofit’s social strategy. The organization also uses call-to-action overlays on videos to encourage viewers to support the cause through donations. YouTube comedian Kevin Wu (aka KevJumba) used his YouTube channel to raise money to build a school in Kenya called the Jumba Lenana Academy. He created the channel, JumbaFund, which donates 100% of ad revenue to the school. The channel has over 54 million views and 831,000 subscribers. 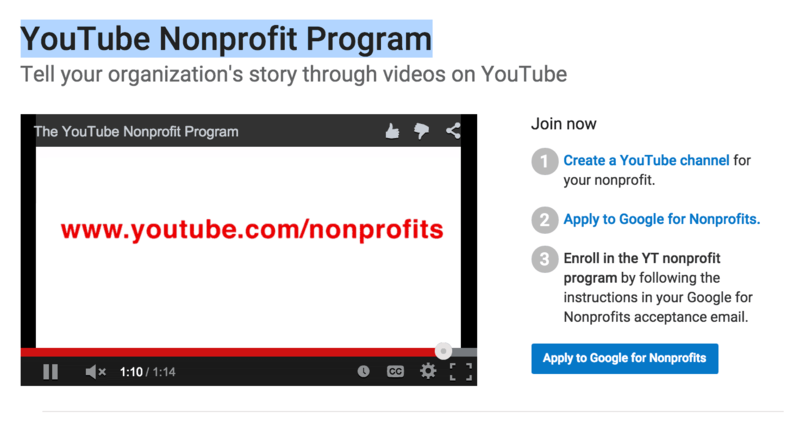 The YouTube Nonprofit Program is an excellent way to tell your organization’s story through videos on YouTube. Playlists displayed horizontally on your YouTube Channel require a minimum of four videos to fill in the entire section. To display your new playlist(s) on your YouTube Channel, you must add it in as a section and then use the up or down arrows to feature it on your channel. Since your nonprofit will be driving more traffic to your YouTube Channel, be sure to add your website, icons, and a channel banner to your channel. 1 – Feature other YouTube videos on your channel related to your cause. 2 – Promote other channels in your “Other Channels” module and reach out to others to return the favor. 3 – Find videos from the broader community rallying around similar causes and organize them into topical playlists. 4 – Stay active on your channel feed: ‘like’, ‘favorite’, and comment on videos relevant to your channel and your audience. 5 – Add relevant videos to playlists. Curating videos into playlists is a good way to add value for your audience and build credibility as an expert in your field. 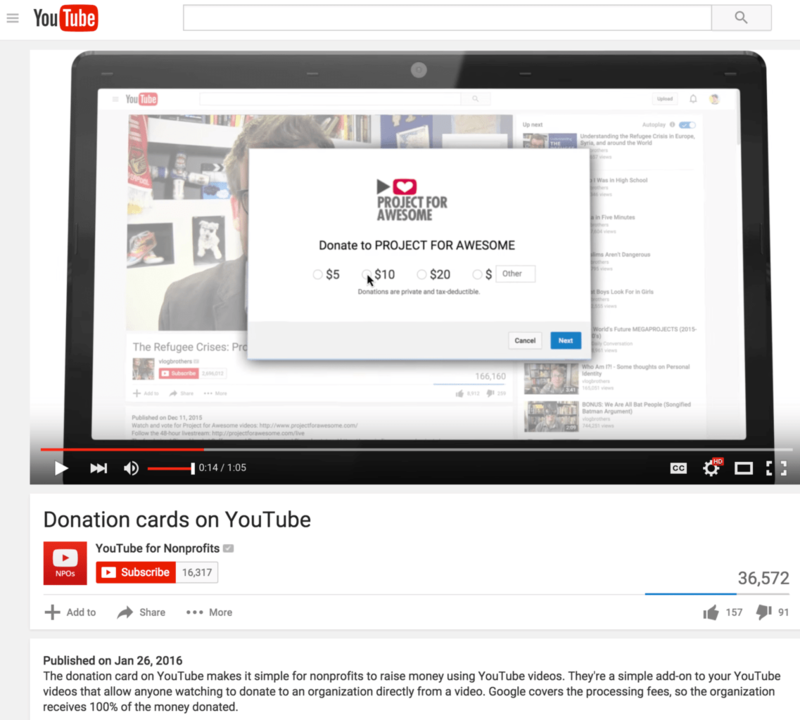 The donation card on YouTube makes it simple for nonprofits to raise money using YouTube videos. They’re a simple add-on to your YouTube videos that allow people who are watching, to donate to an organization directly from a video. Google covers the processing fees, so the organization receives 100% of the money given. Title: The title is what gets people to click and watch your video so you should spend a lot of time working on it. Limit the title to 70 characters for best results on both YouTube and Google search. Thumbnail: Custom thumbnails attract more people when it comes to overall clicks. Make sure they look great. The best size for a thumbnail is 1280 x 720. Description: Use keywords in the description to help your videos rank better and include links to your site/blog to increase traffic. 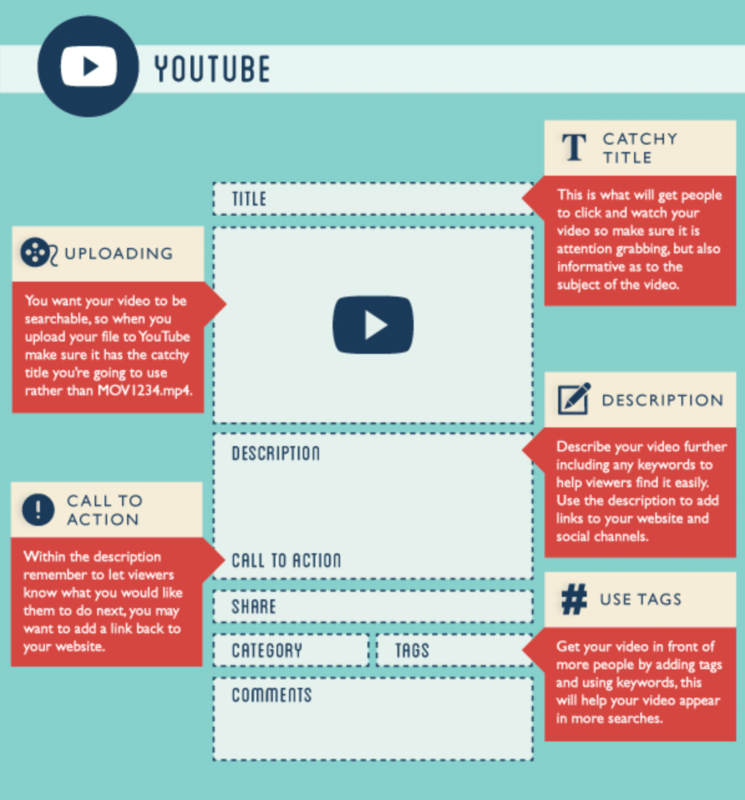 Call To Action: CTA in videos increase subscriptions, likes, and comments. To amplify your message, it’s not only important to ‘broadcast yourself’ on YouTube, but also to use every outlet available to reach potential supporters. Leverage networks outside of YouTube to promote your videos. 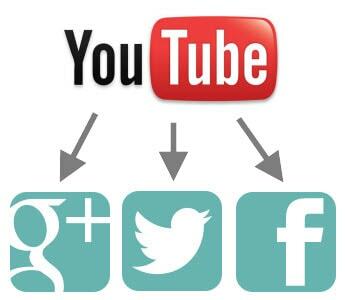 Sharing videos from YouTube to social media is easy using dlvr.it’s smart automation. All you need is an RSS feed and a little creativity. Believe me. Automation is easy. By following the steps in the how-to guide below, videos can come to life in your social feed – no clicking away needed to play the video. It creates a better experience for your audience and leads to increased engagement. How does curation fit into your nonprofit’s content mix? Have any interesting ways to make your YouTube nonprofit channel stand out? We would love your feedback. Please share in the comments.